Kristel Belo’s performance of ‘Bituing Walang Ningning' -The Voice Kids - Balita Boss! 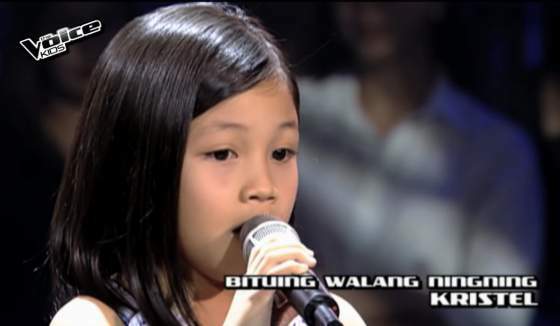 Watch video of Kristel Belo’s performance in the blind audition of The Voice Kids Philippines Season 2, Sunday, July 12, 2015 episode. She delivered a rendition of Sharon Cuneta’s "Bituing Walang Ningning." Coach Lea turned her chair for eight-year-old singer from Sto. Tomas, Batangas.